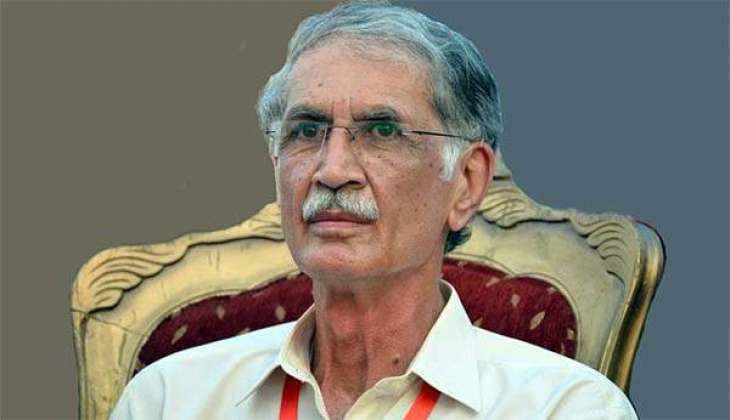 PESHAWAR: Khyber Pakhtunkhwa Chief Minister (CM) Pervez Khattak has requested Jamaat-e-Islami (JI) leader Sirajul Haq to overturn his decision of leaving the provincial government. According to media reports, CM Khattak met JI chief to discuss the matters of mutual interest and especially the upcoming general elections. Citing the five-years-long friendship, Khattak requested JI chief to stay in the coalition, as the next elections were around the corner, in a matter of few weeks. To this, the JI chief said that his party was now a part of Muttahida Majlis-e-Amal (MMA) and the final decision regarding the coalition government would be made after discussion with leaders of the religious group. Earlier, the Jamaat-e-Islami leadership had decided to part ways and dissociate itself with the Pakistan Tehreek-e-Insaf (PTI) led government in Khyber Pakhtunkhwa, without announcing any deadline for the move.